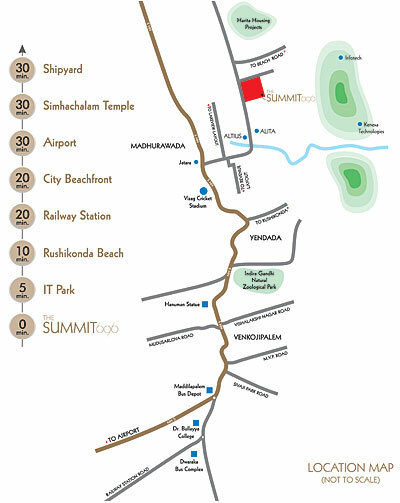 Madhurawada is undoubtedly the most elite address in Vizag. Located near the NH-5 and within close range of the technology hub where global giants have laid anchor, THE SUMMIT 696 reaps the benefits of a new-age locale. It is well connected to premium schools, reputed institutions of higher studies, corporate hospitals, swank malls and leisure destinations. And yes, the blue waters and golden sands of the Bay of Bengal are just minutes away! With a host of upcoming residential complexes rising at Madhurawada, it is the natural choice of investors who are waiting to strike gold!